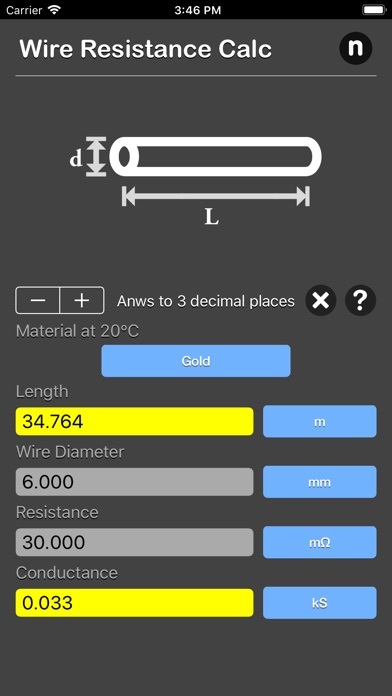 Wire Resistance Calculator are physic/math calculator to find resistance and the conductance of a wire fast and easy. 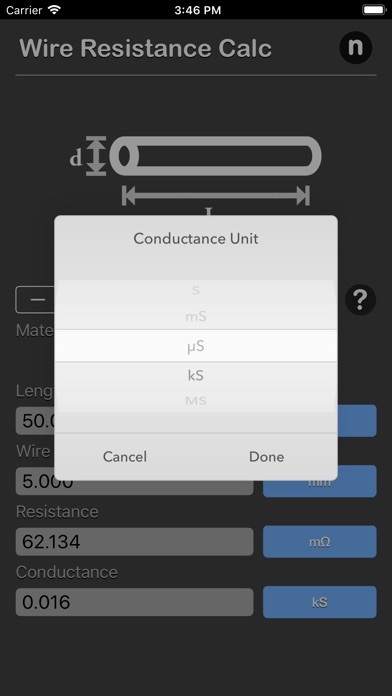 Features: - Instant calculation - Result are copy able to other app - Formula are include as reference - Support up to 16 decimal place - Support various unit for each input Wire resistance calculator calculate the electrical properties of a specific wire [resistance and conductance]. Resistance is the wire opposes the flow of electric current. Electrical conductance, the ability for electric charge to flow in a certain path. 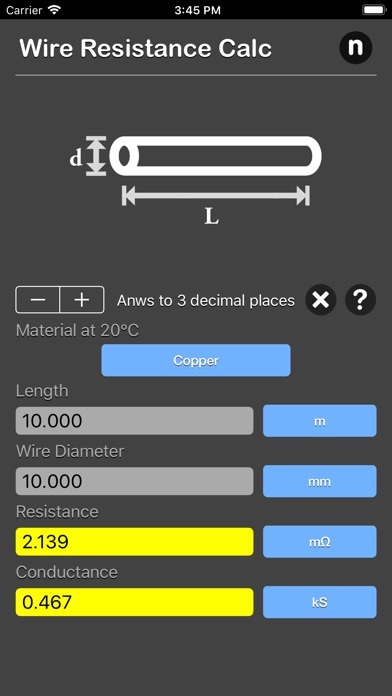 Materials such as copper and aluminum have low levels of resistivity and suitable for the production of electrical wire and cables. And the resistivity is affected by temperature. Formula : R = ρL/A Where: ρ - Resistivity constant of the material, in Ω.m L - Length of the wire, in meter A - Cross sectional area of the wire, in m^2 R - Resistance, in ohms (Ω) *This is a universal app that work for both iPhone and iPad. 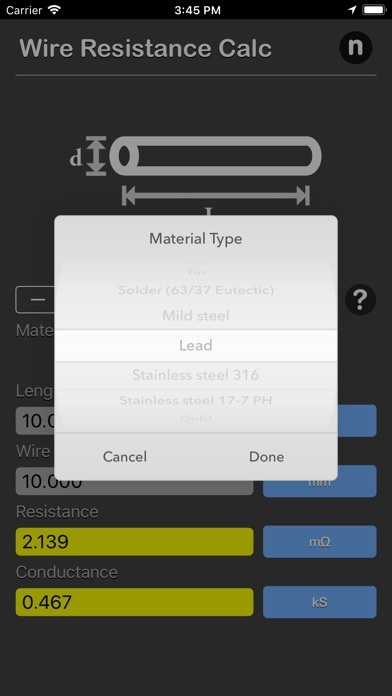 Thanks for your support and do visit nitrio.com for more apps for your iOS devices.